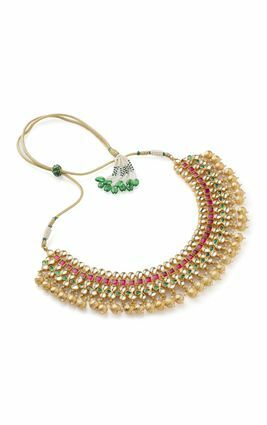 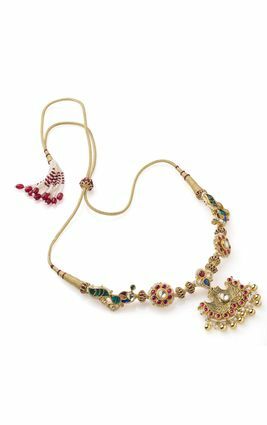 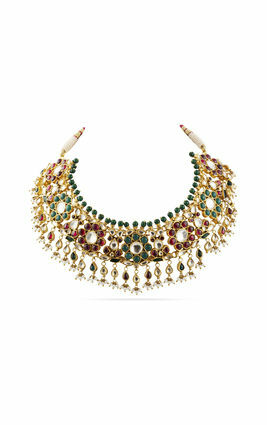 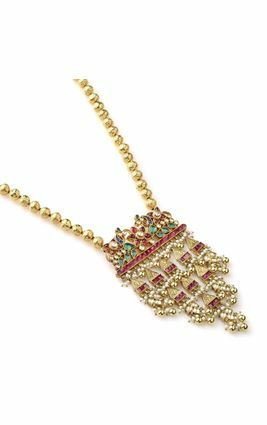 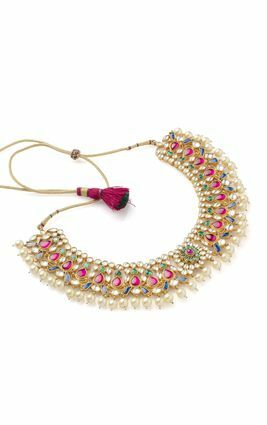 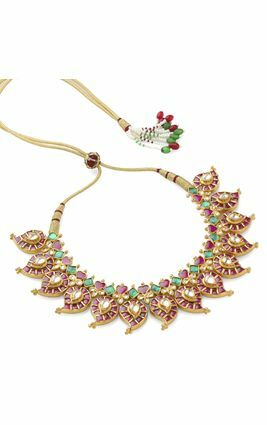 As colourful as the plumage of a tropical bird, this chunky kundan choker has a large white and blue gemstone centrepiece, flanked on both sides by alternating white, red, and green stones. 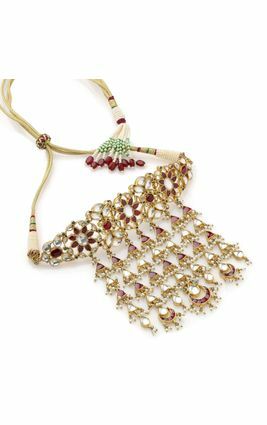 This necklace has a distinct Victorian vibe about it, making it ideal for pairing with fusion wear, evening gowns, and traditional outfits alike. 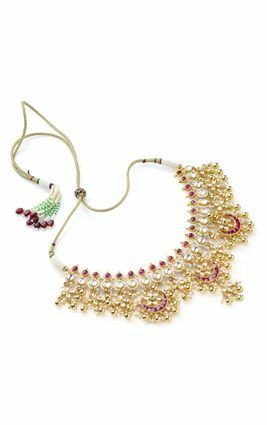 As colourful as the plumage of a tropical bird, this chunky kundan choker has a large white and blue gemstone centrepiece, flanked on both sides by alternating white, red, and green stones. 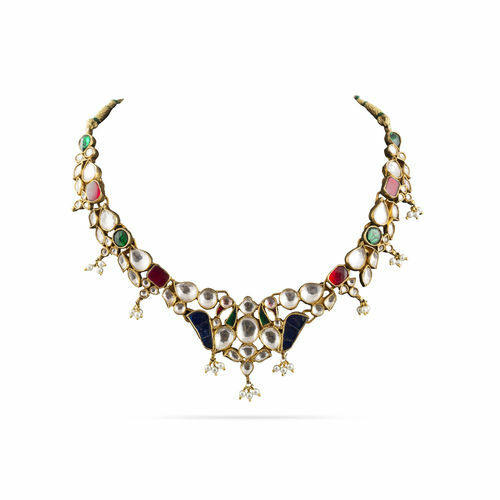 This necklace has a distinct Victorian vibe about it, making it ideal for pairing with fusion wear, evening gowns, and traditional outfits alike.